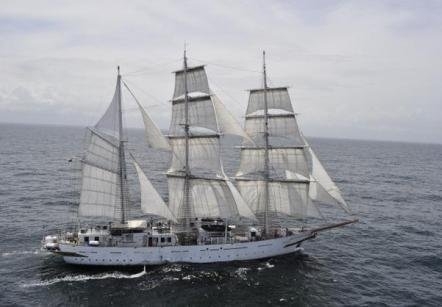 VietNamNet Bridge - Sudarshini, a training ship of the Indian Navy, will visit Da Nang from December 31 through January 3, in its journey through nine countries in Southeast Asia. The ship will follow the ancient route of the Indian traders to Southeast Asia as a way to emphasize the long tradition of cooperation between India and the Association of Southeast Asian Nation (ASEAN), on the occasion of the 20th anniversary of establishment of relations. The two sides have upgraded relations to strategic partnership at the ASEAN - India Summit in New Delhi on December 20-21. 2012 also marks 40 years since the establishment of diplomatic relations and five years of the strategic partnership between India and Vietnam. In the past year, the two sides strengthened cooperation activities in various fields, especially in defense and security. The Vietnam-India defense dialogue was held in New Delhi in September. The Indian Ambassador to Vietnam Ranjit Rae said Vietnam is one of India’s priorities in India’s look to East strategy. Indian firms have invested $868 million in Vietnam, mainly in the areas agro-processing, steel and mining. Ambassador Ranjit Rae said the trade between the two countries is still modest. In 2013, India will further promote trade with Vietnam, aiming to raise bilateral trade to $7 billion in 2015. A seminar on business investment and India – Vietnam business will be held in Da Nang on January 1 under the Vietnam and India Business Forum. The Indian Ambassador said that the opening of a direct air route between Vietnam and India will also contribute to the promotion of cooperation between the two countries.